Easy-to-use pneumatic gas lift adjusts the seat height from 18 1/2 to 28 inches. The non-slip, curved base features a wide range of motion. Backless design encourages proper posture while strengthening core muscles. 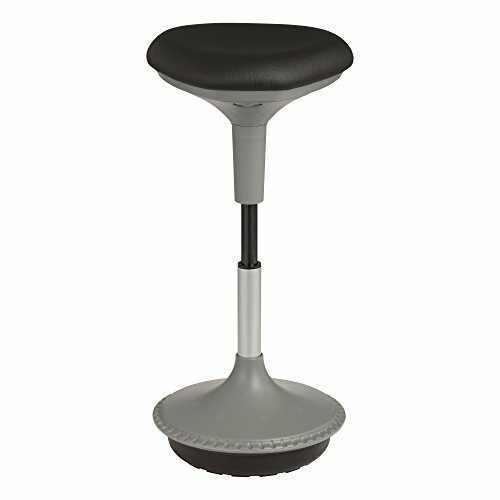 The 12 5/8"-wide seat is constructed from easy-to-clean vinyl-covered foam. Lightweight design for easy mobility and storage.